Everybody can sell NETELLER now@N340/$ (N345/$ for Access Bank customers). Offer expires January 31, 2018. Sell at least 1,000 USD worth of Neteller, and get N340/$ (And also claim N1000 recharge card for a network of your choice). Sell at least 500 USD worth of Neteller, and get N335/$. Sell at least 100 USD worth of Neteller, and get N330/$. Sell below 100 USD worth of Neteller, and get N322/$. This offer is available for all our verified customers. Our VIPs, Instaforex and Tallinex customers get the usual N340/$ or N345/$, no matter the amount they sell. We offer Neteller at parallel market rates for those who open Instaforex.com accounts with us. That means you can fund or withdraw Neteller as often as you wish at parallel market rates, as long as you place at least, one trade per month. Buy at: N375/$. Sell at: 345/$. Since January 11, the Cable went upwards by 800 pips, reaching a high of 1.4345. 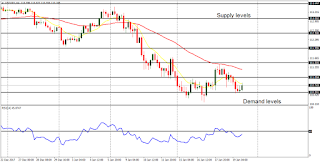 Thursday and Friday saw a pullback in the market, and while price may go upwards again to test the distribution territories at 1.4300 and 1.4350, there would soon be a serious pullback, which may signal a start of a bearish journey. The outlook on GBP pairs is bearish for this week and for February. EUR/USD: This pair gained 250 pips last week, and it has gained 800 pips since January 18. That is one of the strongest movements on the EUR/USD in recent times and price would attempt to reach the resistance lines at 1.2450, 1.2500 (which were previously tested) and 1.2550. However, there would soon be a trend reversal, which would happen this week or in February, for the outlook on the EUR pairs is bearish for February. USD/CHF: Since November 2, 2017, the USD/CHF has lost more than 700 pips; whereas its most serious bearish movements within the past several months occurred in January 2018. 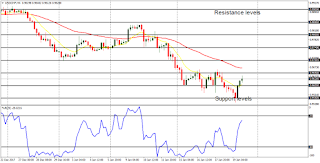 Last week witnessed the strongest bearish movement, as price went south by 300 pips, testing the support level at 0.9300 and closing below the resistance level at 0.9350. Since the outlook on USD is bearish for this week and for February; and since the outlook on CHF is bright (bullish) for February, it is expected that USDCHF would remain under bearish pressures. 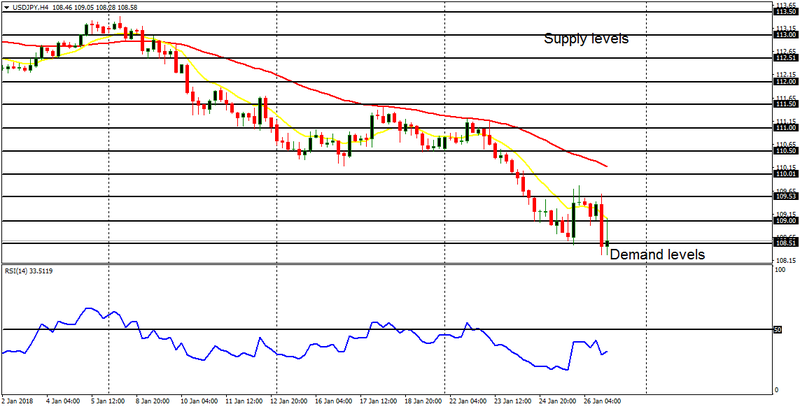 GBP/USD: Since January 11, the Cable went upwards by 800 pips, reaching a high of 1.4345. 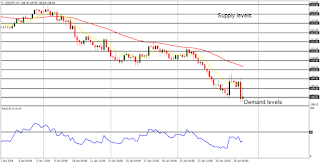 Thursday and Friday saw a pullback in the market, and while price may go upwards again to test the distribution territories at 1.4300 and 1.4350, there would soon be a serious pullback, which may signal a start of a bearish journey. The outlook on GBP pairs is bearish for this week and for February. USD/JPY: This is a bear market – with a Bearish Confirmation Pattern in the chart. This month, from a high of 113.40, the market has gone south by 500 pips. The demand level at 108.50 has been tested and price has almost gone below it, poised to move further southwards. As long as the USD/ is weak, price would continue to go southwards. EUR/JPY: This is a sideways market, which oscillates between the supply zone at 136.50 and the demand zone at 135.00 (although price was able to breach the market zone at 135.00 to the downside). There is a neutral bias on the market, which may continue for a few more days. However, when there is a breakout, which is imminent, it would most probably favor bulls, for the outlook on JPY pairs is bullish February. This week, EURUSD assumed one of its strongest movements in recent times. Since December 18, 2017, price has gained 800 pips. It gained almost 600 pips in January 2108, and over 300 pips last week, almost reaching the resistance line at 1.2550 (and pulling backwards). The market may go further upwards, reaching the resistance lines at 1.2550 and 1.3000, but it would eventually start coming down before the end of this week. The outlook on EUR pairs is bearish for this week. Since November 2, 2017, this pair has lost more than 700 pips; whereas its most serious bearish movements within the past several months occurred in January 2018. Last week witnessed the strongest bearish movement, as price went south by 300 pips, testing the support level at 0.9300 and closing below the resistance level at 0.9350. Since the outlook on USD is bearish for this week and for February; and since the outlook on CHF is bright (bullish) for February, it is expected that USDCHF would remain under bearish pressures. Only a strong bearish movement on EURUSD can cause some rally on USDCHF, which may even be weaker than normal. Last week price went upwards by 480 pips before the bearish correction that is currently in place. The distribution territory at 1.4350 was almost reached, before price pulled backwards. A strong bullish pressure is needed before the distribution territory at 1.4350 can be tested again, and breached to the upside. Nevertheless the 170-pip pullback that took place on Thursday and Friday, may harbinger a protracted bearish movement, because the outlook on GBP pair is bearish for this week and for February. Strong movement would be witnessed again on GBP pairs. The trend in the market is bearish – especially in January. Since the beginning of the year, price has come down by 420 pips, leading to a huge Bearish Confirmation Pattern in the market. Last week witnessed a movement of 240 pips, as price closed around the demand level at 108.50 on Monday. Further bearish movement may help price test the demand levels at 108.00 and 107.50. There could be instances of rally attempts this week, but they may be insignificant, owing to the weakness of USD. It is a surprise that EURJPY cross only went sideways last week, while most majors trended significantly. This is a sideways (neutral) market, which oscillates between the supply zone at 136.50 and the demand zone at 135.00 (though the demand zone at 135.00 was breached on Friday). Further sideways movement is possible, but there will eventually be a breakout in the market, which would favor bulls. This is a volatile market. It has moved significantly upwards since January 11. However, there was a noteworthy pullback on January 25 and 26. Further pullback is possible, but may be contained at the demand zones of 153.00 and 152.00. Eventually, the recent bullish trend will continue because the outlook on certain JPY pairs is bullish for February, and GBPJPY is also included. Ebay stock (LSE) is in an uptrend, with a Bullish Confirmation Pattern in the market. There is still much room for the market to go northwards as we shall see. Apart from the downwards movement that was seen in October and November 2017, the trend in the market has generally been bullish. Price is above the EMA 21, and the Williams’ % Range period 20 is in the overbought region. That means the signal in the market is bullish. The outlook on Ebay is bright for this year and price would go towards the resistance levels at 60.00, 70.00 and 80.00. Verizon Communications shares (NYSE:VZ) are a bull market, which is supposed to continue. From August to November 2017, the trend was largely neutral. But in November 2017, a bullish journey started, which has become strong, and which has held out till today. The ADX period 14 is around the level 30, which signals a considerable amount of momentum in the market. The DM+ is above the DM-, showing that bulls are dominant. The MACD, default parameters, has both its signal line and histogram above the zero line. There is a Bullish Confirmation Pattern in the market. Verizon Communications is bullish and that stance will continue in most part of 2018. It could reach the supply zones at 60.00, 70.00 and 80.00. We humbly apologize to those customers who may have been angered/disappointed because their names were not on the list of our latest VIPs. We choose several customers this year, instead of 2 (we have many good customers with us). While we acknowledge that many of our customers qualify for VIP status with us, we cannot choose everybody (or else we might run at loss). 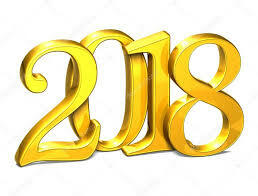 However, we will choose some more people in the middle of 2018. Therefore don’t be surprised if your name is among our next chosen VIPs. 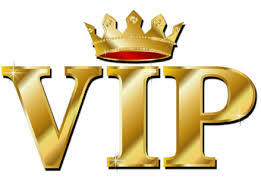 Every calendar year, we choose 2 customers to become our VIPs. They have permanently special status with us and they can fund/withdraw Neteller through us, at parallel market rates, whether they open brokerage accounts through us or not. These are people who funded with the highest amount of Neteller, and who also withdrew the highest amount of Neteller through us. They would be announced in January each year and added to our list of VIPs. Our VIPS: Mbaneto Chidozie, Ayisu Robert, Mustapha Babatunde, Isabella Etuk, Nwoke Daniel, Isaac Okafor, and Lucky Akpede. MBANETO CHIDOZIE: He funds Neteller constantly with us, and in large quantities too. We want to award his confidence in us, despite the fact that he lives in a foreign country. AYISU ROBERT: He’s the first customer to fund with Neteller, using the services of ItuGlobal. He’s not a buyer of large quantities, but we want to reward him for being the first customer to do business with us in the year 2016. He’s also referred a customer to us. MUSTAPHA BABATUNDE: He’s attracted to us because we usually fund his Neteller wallet to the nearest decimal place. He once transferred money to us when we had no Neteller. However, instead of asking for a refund (which we would have done immediately), he waited for days, until we could get enough Neteller to transfer to him. He also likes the fact that we do business on weekends. He likes getting Neteller supplies at discounts and that’s why we chose him as our VIP. ISABELLA ETUK: While Isabella is not the first woman to do business with us, she’s the first woman to fund Neteller with us, purchasing large quantities. She loves getting Neteller at cheap rates, and that’s why we chose her to be our VIP, and also because of her loyalty. Needless to say, we’ll choose another woman as our VIP in the middle of 2018, because we have a handful of them with us. NWOKE DANIEL: He’s a customer who lives in Europe. He’s never come to our office and he places trust in us that we can’t run away with his money. We’ve never disappointed him. He funds and withdraws large quantities of Neteller and he also opened an Instaforex trading account through us. He deserves to become our VIP. ISAAC OKAFOR: Isaac first tested our services with a small amount of Neteller for withdrawal, and then started withdrawing large amounts. He was attracted by our speedy funding policy. He also gives good recommendations for our services online. What we like most about him is that, whenever the money transferred to him gets hanged, he’ll wait for days, until the issue is resolved. Mr. Isaac, we thank you for your patience. LUCKY AKPEDE: Mr. Akepde is a trader and a businessman. He funds with large quantities of Neteller. Even when we run out of supply, he would wait patiently until we have. Whenever we contact him to inform him of fresh Neteller in stock, he quickly replies us, and takes positive actions. NOTE: With immediate effect, all the people mentioned above have qualified to buy and sell Neteller at exactly the rates displayed on our websites. Their status with us is permanent. Altogether we now have 10 VIPs in the house. The EUR/USD consolidated throughout last week, neither going above the resistance line at 1.2300 (which was tested unsuccessfully), nor going below the support line at 1.2150. This week, there is going to be a directional movement, which would most probably favor bears, for the outlook on EUR pair is bearish for this week. EUR/USD: The EUR/USD consolidated throughout last week, neither going above the resistance line at 1.2300 (which was tested unsuccessfully), nor going below the support line at 1.2150. This week, there is going to be a directional movement, which would most probably favor bears, for the outlook on EUR pair is bearish for this week. GBP/USD: This GBP/USD is in a bearish mode. The shallow rally that was in the middle of last week, turned out to be a nice opportunity to go short. It is much more likely that price would continue going southwards this week, because there could be some weakness in USD. The demand levels at 110.50, 110.00 and 109.50 could be reached. This pair consolidated throughout last week, moving between the resistance line at 1.2300 and the support line at 1.2150. The resistance line at 1.2300 was tested unsuccessfully, and it is unlikely that price would stay above it, even if it tested again. There is going to be a directional movement this week, which would most probably favor bears, for the outlook on EUR pairs is bearish for the week. USDCHF went further southwards last week, testing the demand level at 0.9550, prior to the upwards bounce that occurred on Friday. Because of the expected weakness in EURUSD, it is unlikely that price would be able to go below the support level at 0.9550. 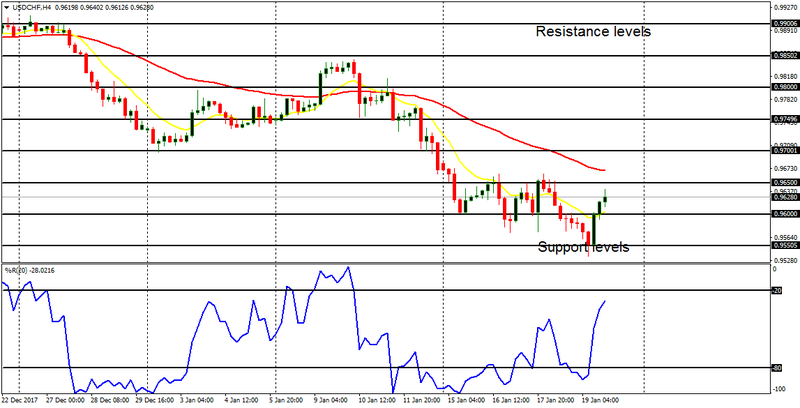 Rather, price could continue going upwards, reaching the resistance levels at 0.9650, 0.9700 and 0.9750 within the next several trading days. GBPUSD went upwards last week, having gained roughly 400 pips since January 11. 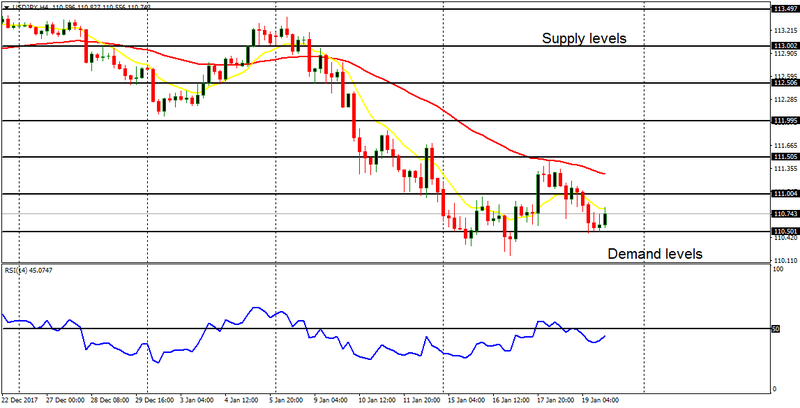 The market moved above the distribution territory at 1.3900 and later closed below it on Friday. There is currently a bullish bias on the market, which would be overturned once price goes below the accumulation territories at 1.3500 and 1.3450 (which would require a very strong selling pressure). The outlook on GBP pairs is bearish for this week. This trading instrument is in a bearish mode. The shallow rally that was in the middle of last week, turned out to be a nice opportunity to go short. It is much more likely that price would continue going southwards this week, because there could be some weakness in USD. The demand levels at 110.50, 110.00 and 109.50 could be reached. On the other hand, a rally can meet some adamant impediment around the supply levels at 111.50 and 112.00. The cross is bullish but it is quite choppy in the short-term. Should the demand zone at 134.00 get breached to the downside, the bias would turn bearish. In case price is able to go above the supply zone at 136.50, the next target would be another supply zone at 137.00 (and the recent bullish bias would become stronger). A movement to the upside is more likely, owing to a bullish outlook on some JPY pairs. Despite the bearish movement that happened between January 8 and 11, this cross has been able to go upwards in a noteworthy manner last week. Between Monday and Thursday, price moved upwards by 250 pips, and then got corrected on Friday. This week, further bullish movement may enable price to reach the supply zones at 154.00, 154.50 and 155.00. There could be additional bearish corrections along the way; but they should be temporary, posing no significant threat to the bullishness in the market. Does Neteller accept voter’s card?